AllegroMedical.com presents The Comfort Audio Contego FM HD Communication System Receiver. 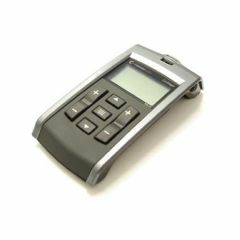 Comfort Contego is a digital, secure FM HD communication system for hearing aid users with a t-coil or users with hearing loss using a headset. It uses coded radio transmission that makes it virtually impossible to intercept a conversation. The Comfort Contego receiver is worn by the person with hearing loss who has t-coil hearing aids or is using earphones or a headset. The Contego receiver has a built-in microphone that is adjustable for maximum customization of sound. Set the microphone to omni-directional or directional based on conditions. Volume can be remotely adjusted. It may also be used as a standalone personal listener. Not eligible with other discounts or promotions. Thanks for sending the infrared massager! I have already recommended your website to my friend, Anita. She is looking for this massager for t.m.j. pain. I will definately consider your business for future online orders. I really liked your user friendly website. If you have ever used an inferior one, you would understand. I look forward to receiving the massager and to instant pain relief. I will continue recommending your business.